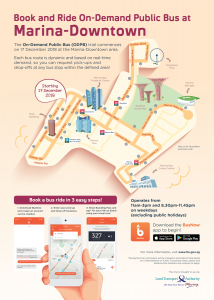 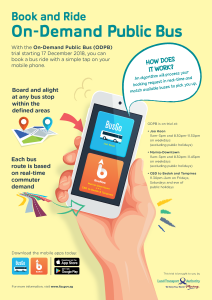 On-Demand Public Bus trials for the Joo Koon and Marina – Downtown area will commence on 17 December 2018, and end on 15 June 2019. 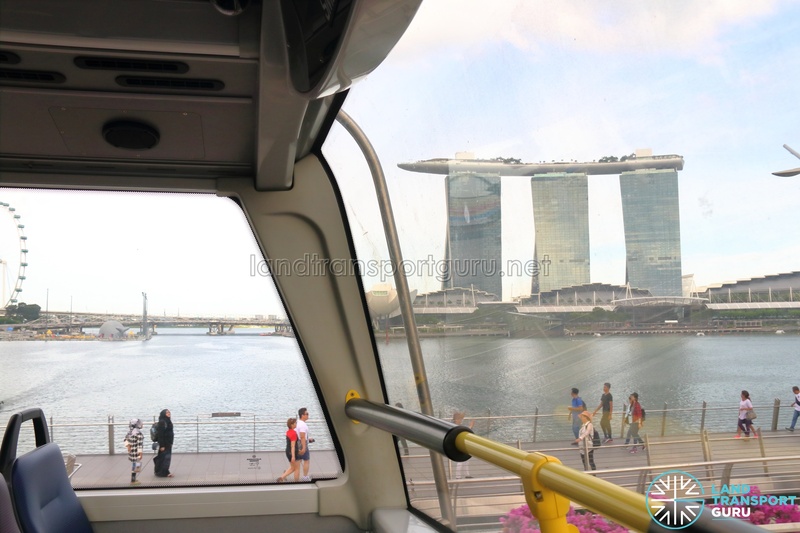 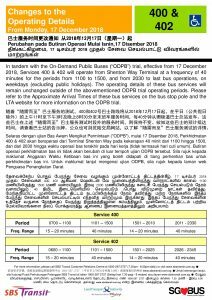 The trials will be taking place on Weekdays (Excluding Public Holidays) during off peak hours. 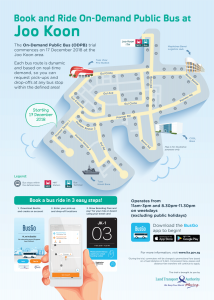 During the trial operating hours, Bus Services 253, 255, 257, 400 & 402 will experience reduced bus frequency.